Looking for Catch Des Moines contact information? Connect with us via phone, email or stop by our office in Downtown Des Moines. Use our Catch Des Moines staff listing below to identify the right person to connect with or call our front desk for general questions. 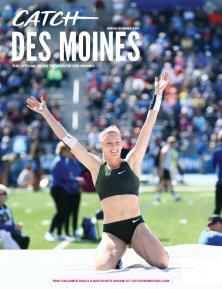 Catch Des Moines is a resource for meeting and sports planners, visitors, and locals. Contact us today! Click here for a listing of our Board of Directors. Interested in joining the Catch Des Moines team? Browse employment opportunities here.